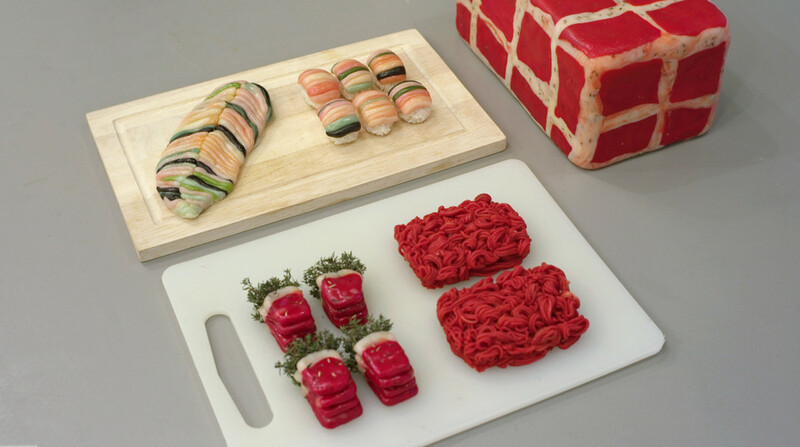 During my internship at studio Marije Vogelzang in the Netherlands I was to recreate one of her projects “Faked Meat,” with physical products and to recreate illustrated imaginary animals. 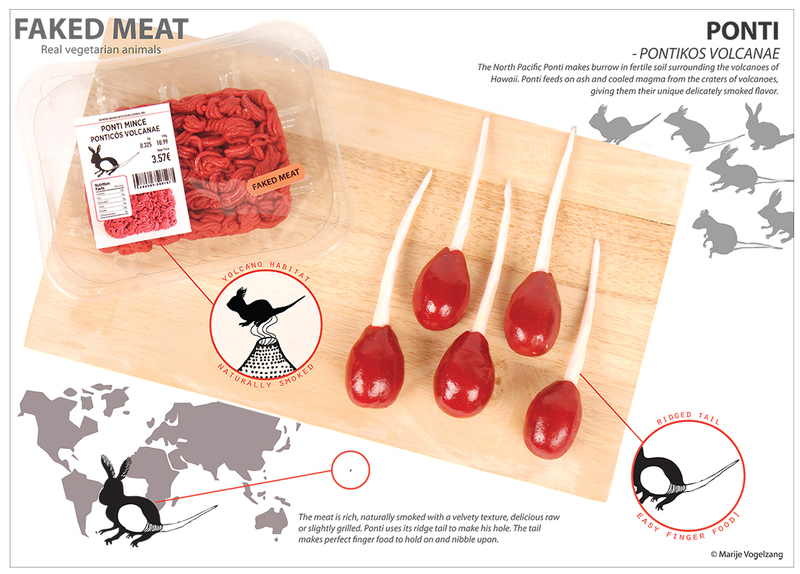 Faked Meat is a result of observations regarding the consumption of meat products and its equivalent vegetarian substitutes. Why not create completely different vegetarian “animals,” rather than attempting to mimic processed meat products like sausages? 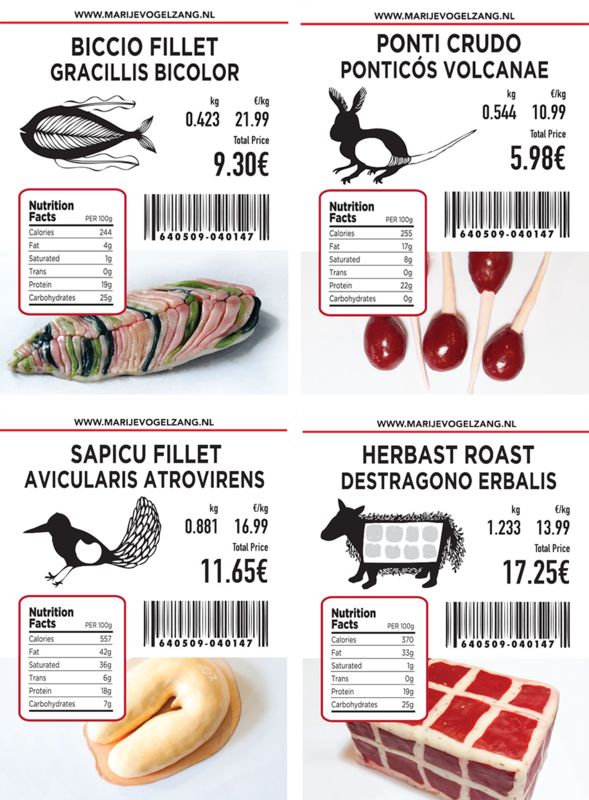 Four new “species” of animals were created with distinctive fragrance and taste, depending on their geographic origins and staple diet. 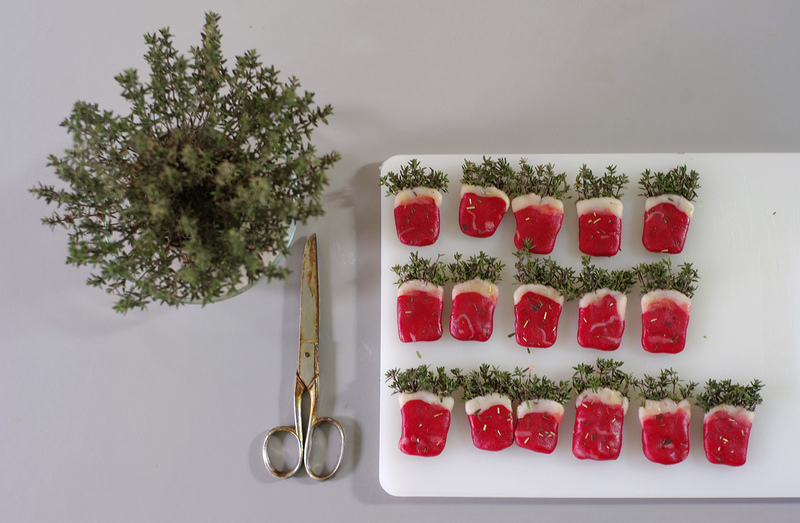 This project illustrates contradictions in the notion of vegetarianism and its food products, while at the same time seeking a new direction for vegetable food products. 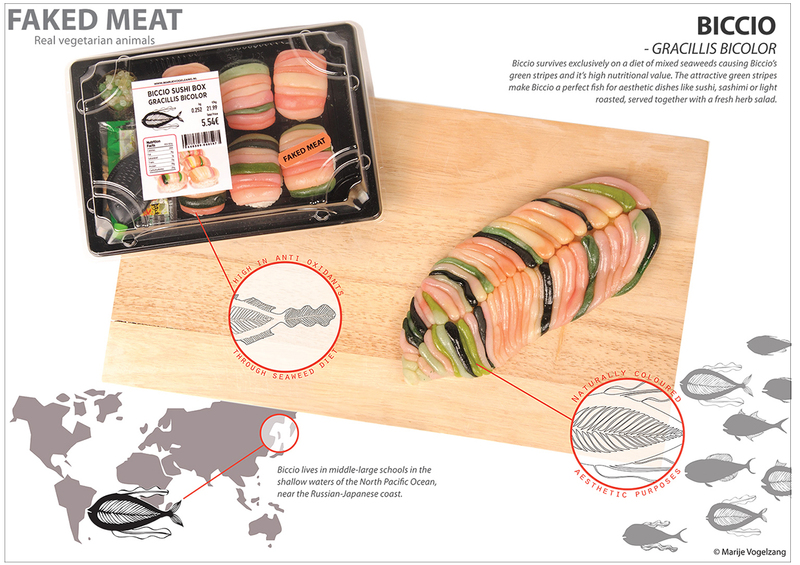 Although the project started in 2008, it still addresses relevant issues in the global food system, since the awareness of meat consumption has been steadily increasing. Throughout the process, she detailed how to stimulate people to face the reality projected from an invented story. The most important element is that the story has to be detailed as if it is real. The designer has to act in the role of storyteller, and must provide ample background and details of the story so that audiences are able to build their own thoughts on it. 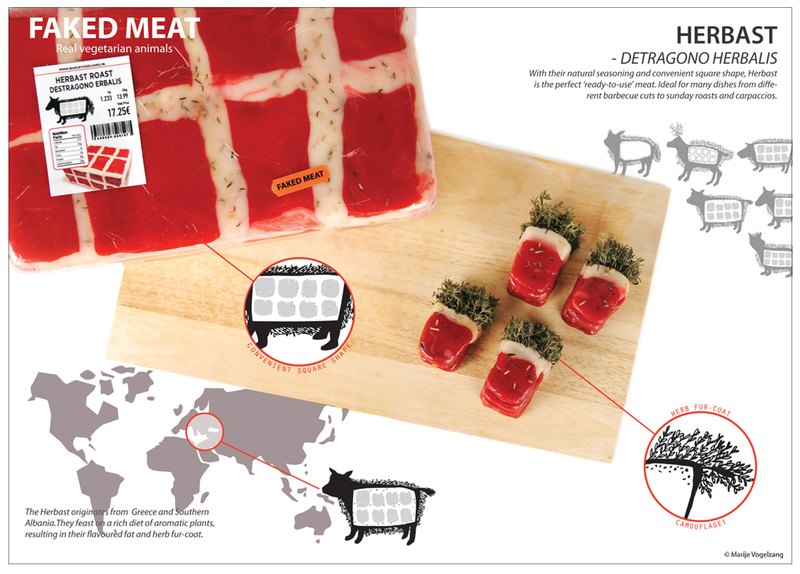 In conjunction with her story about fantasy animals, I redesigned posters, labels and packaging for the final meat products.